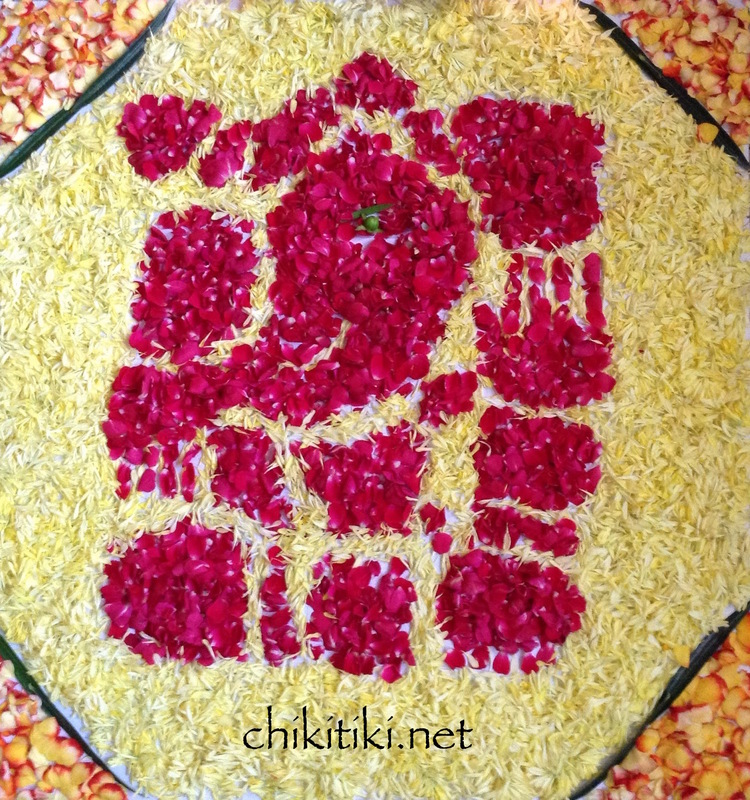 I tried this flower rangoli of Lord Ganesh on Diwali – 2013. 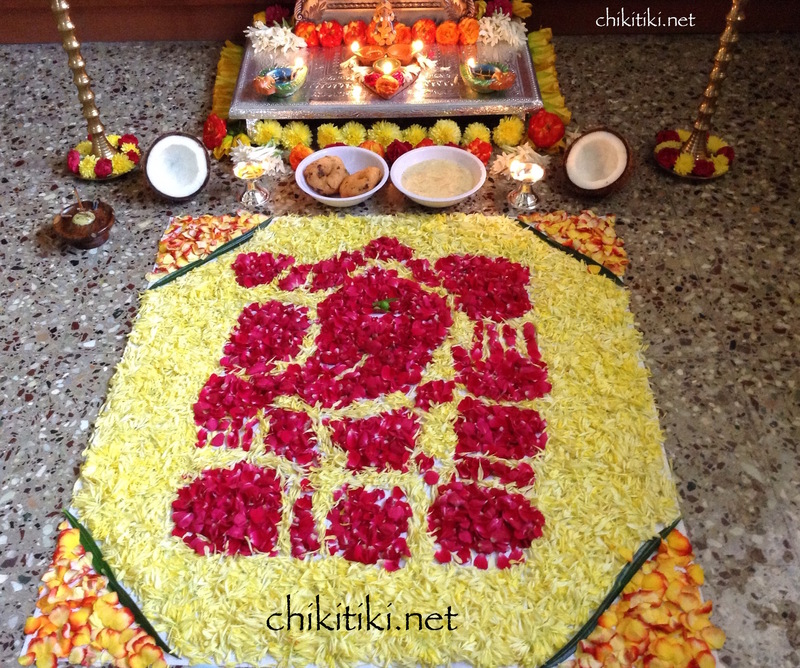 Thought of posting this pic as this is one of my favorite creation. 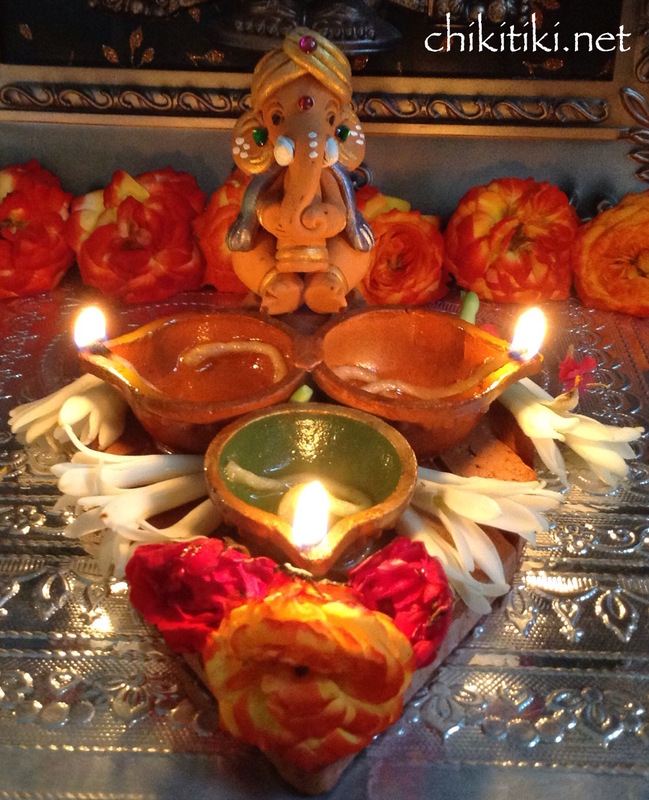 I love diyas/deepams and this Ganesh diya is my favorite. I bought it few days before the festival.